Cat owners might presume that it is not a big deal when it comes to bringing their Ragdoll kitty for vet visits. But they are in for a surprise. The problem is that the kitty starts to get into a full veterinary stress mode, which makes the experience even more traumatic for her. If you are not careful in approaching the situation, it can result in a very bad experience for you as well as your kitty. Hence, it is very important to have a good vet and prepare for the visit well in advance so that the stress of your cat can be reduced. This is a big “No” especially when you are entering the premises of the veterinarian’s office. 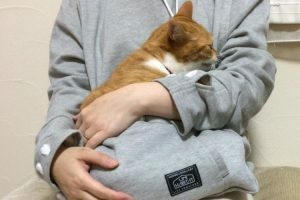 We know that you would do this just to ensure your kitty’s safety, but remember that during the vet visits, cats usually are anxious and scared of the new place which makes them use their claws more often than not to get out of your hands or hold tightly. Hence, the best way to combat the situation is by taking your fur baby to the vet using a carrier. Ensure that the cat does not get in contact with other cats during the vet. The reason for that is it can stress out the kitty, and also increase the risk of picking up a disease. Keeping them off from the floor of the veterinarian clinic can also reduce this risk. 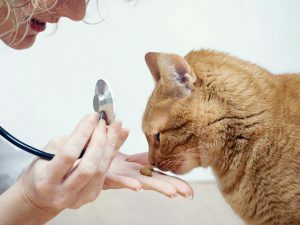 If you skip the veterinarian visit because you feel that it will stress your cat, then it can be extremely bad for her health. 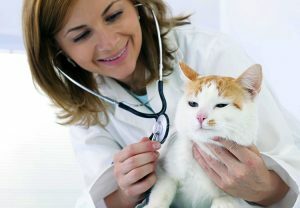 Remember that regular vet visits are beneficial for the cats. It can aid in preventing various health disorders which can be prevented before they become worse. Cats age far quicker than human beings. 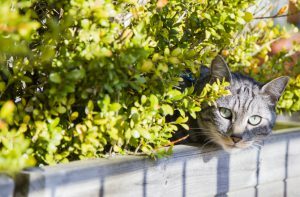 Cats are also good at hiding the symptoms of health issues. So, try your best to calm your cat and take them to the veterinarian on a regular basis. You need to observe different things before zeroing on a veterinarian. Check out their waiting room. Verify whether they have feline only areas or quieter corners. Do they have Pheromone Diffusers? Observe their examination room by evaluating how the veterinarian handles the checkup. Is the room clean with the examination table wiped down? Does the clinic has all the cat supplies handy? Or does the veterinarian leave the room to retrieve things? 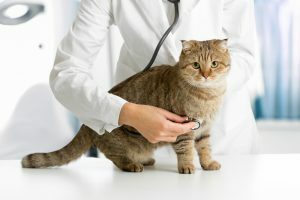 You want the vet to be well-prepared in advance to deal with the stress of your feline thereby minimizing the distractions and additional stresses. The process of making the vet visit stress-free commences long before you leave your house. Give plenty of time to get the kitty ready so that she remains calm during the visit. 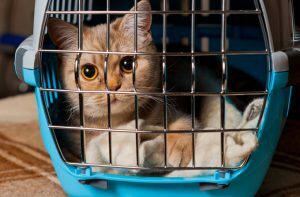 Remember, a last-minute rush out of the door will make the kitty agitated even before you commence the journey of taking her to the vet clinic. Before you take her for the vet visit, make her acquainted with being touched and handled along with being transported in a carrier. This will make the feline mentally prepared to deal with the anxious moments before the vet visit. This is one of the most important things when you bring your kitty for a vet visit. Carriers provide a safety net to the kitty during the vet visit or for that matter any visit. Cats enjoy positioning themselves so that they can view everything but still stay hidden. 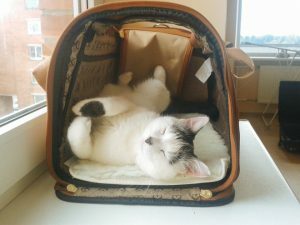 Therefore, a plastic carrier with holes and a great door is great for the kitty as it not only gives protection to her but also gives her views that she desires. The best carriers are those that can be easily unbuckled, unscrewed, or unzipped from top to bottom to give the best view to the cat. This way your kitty will feel comfortable during the vet visit. The stress level will also be considerably lower. With good preparation and the expertise of a good vet, your Ragdoll kitty can have a wonderful time during the vet visit. So, when are you planning to take your kitty for the next vet visit?